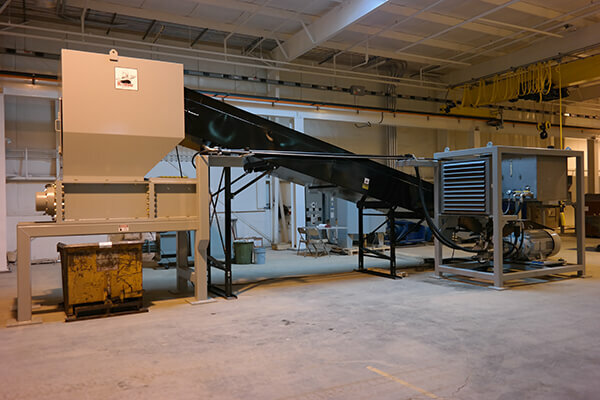 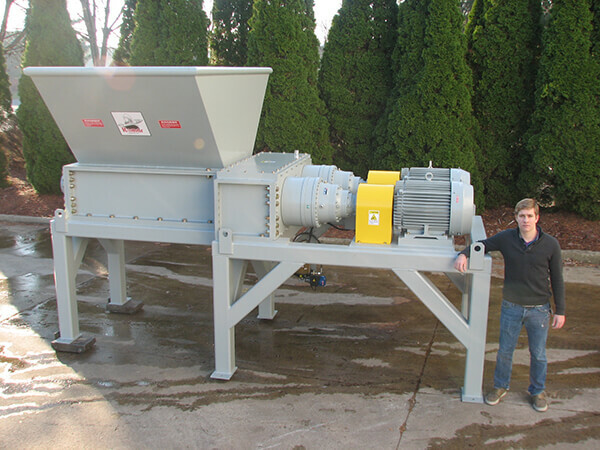 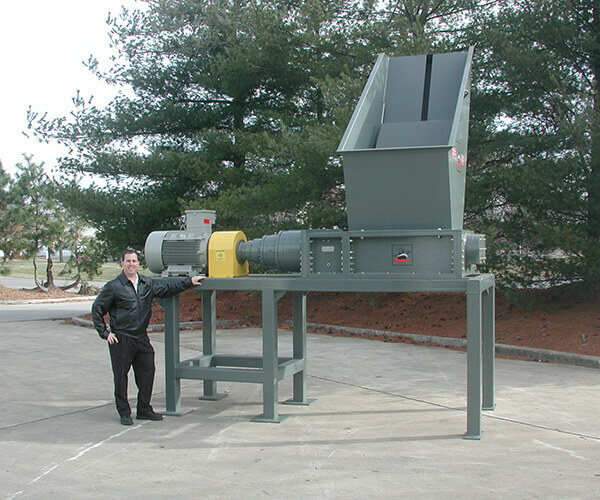 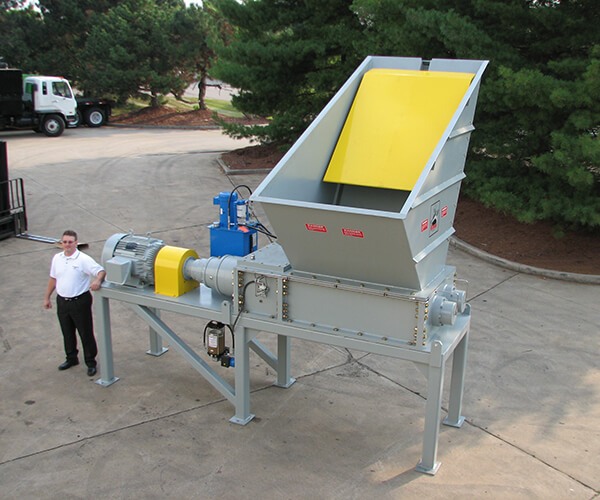 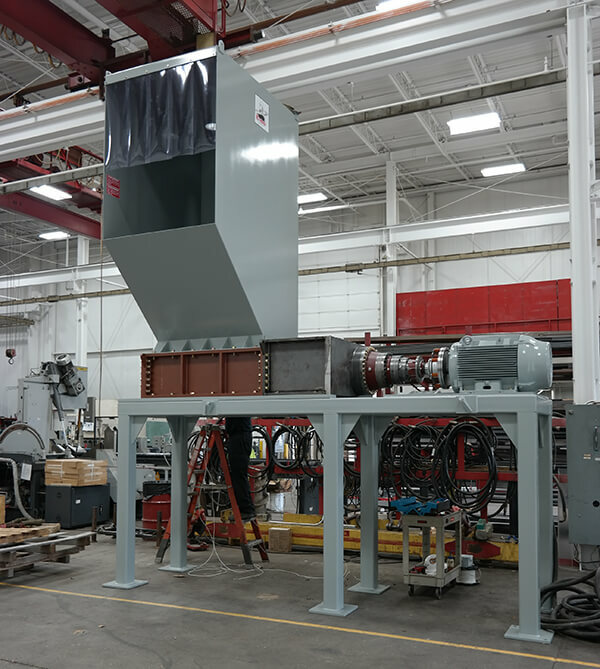 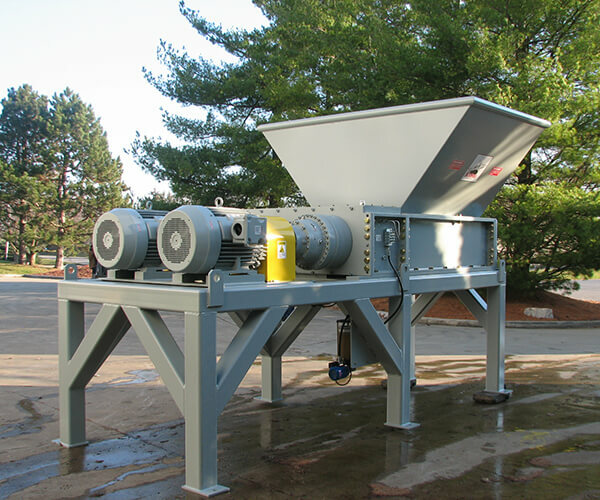 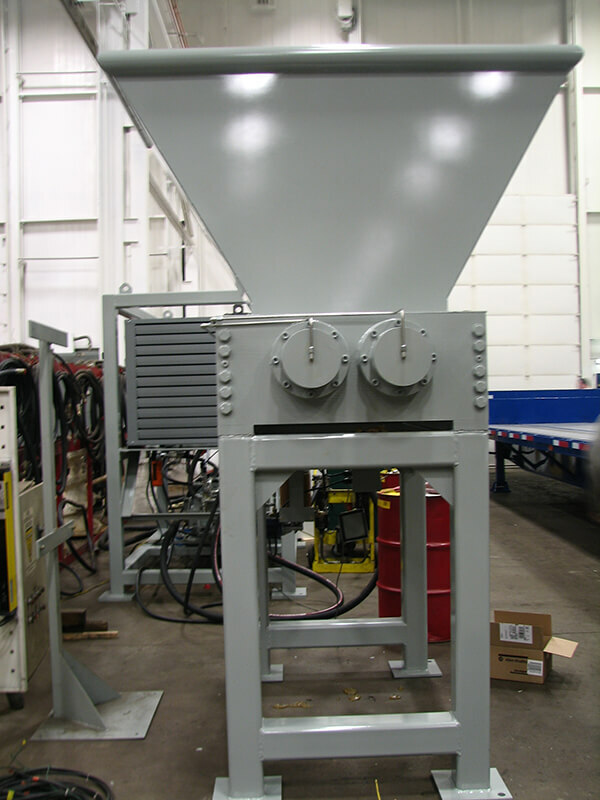 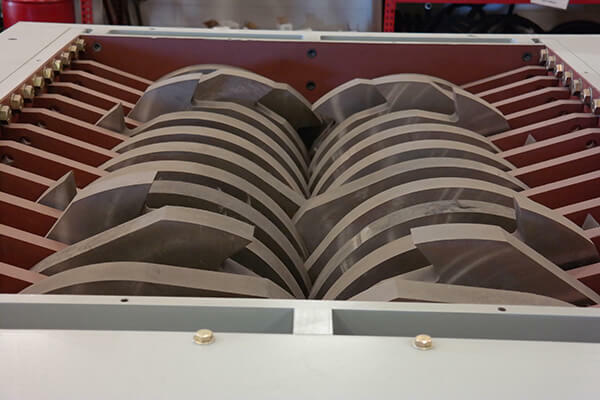 Shredders for Primary Reduction | Komar Industries, Inc.
Komar dual shaft shear shredders have the appetite to handle your waste for primary shredding utilizing the shredding action of high torque, low shaft speed counter rotating cutter disks in a variety of tooth patterns and sizes. 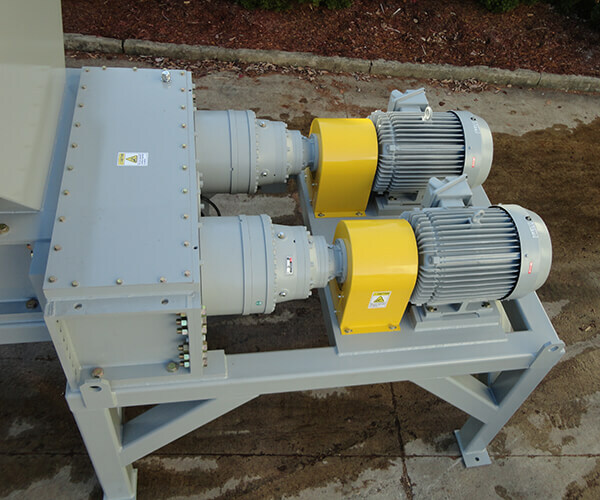 They operate with minimum noise, dust, and energy requirements and include automatic reverse in case of a jam. 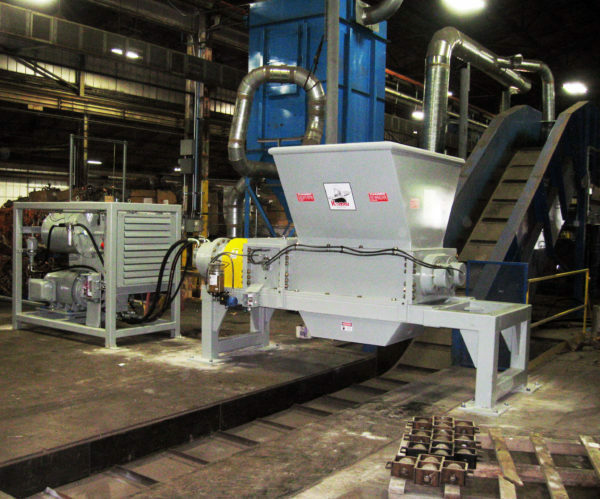 A major problem inherent in traditional shear shredder technology is loosening of the cutter stacks over time. 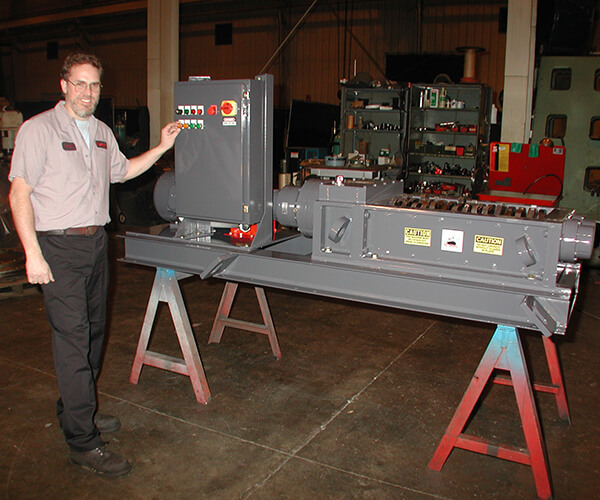 Their conventional threaded nut system cannot apply enough force to keep the stacks tight. 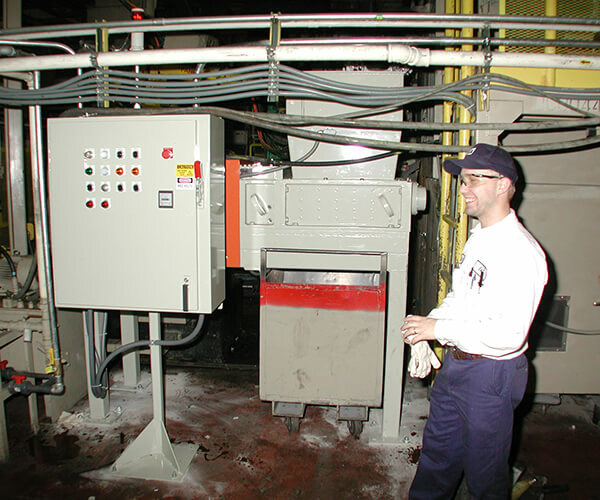 This results in poor performance, reduction of component life, and requires frequent downtime to tighten the stacks. 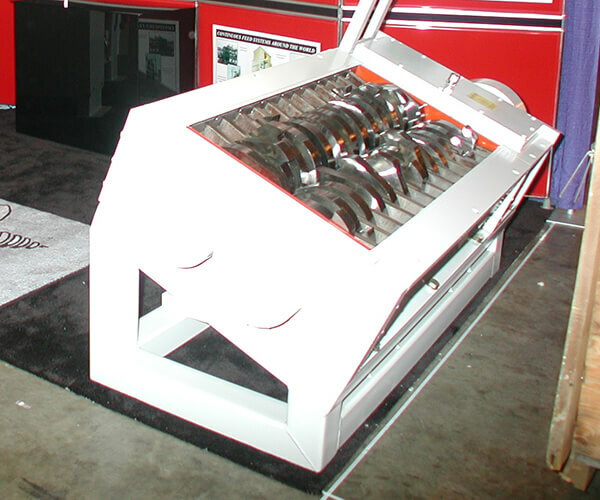 The Komar patented Pro Cutter Locking System, or “PCLS” solves this problem with the use of a compact-progressive bolt and integrated bearing system. 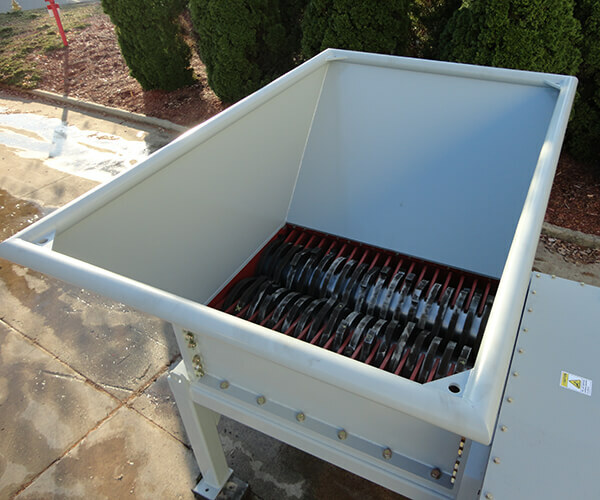 This system produces 900% more force than the conventional locking nut system, providing optimal performance and requiring far less maintenance. 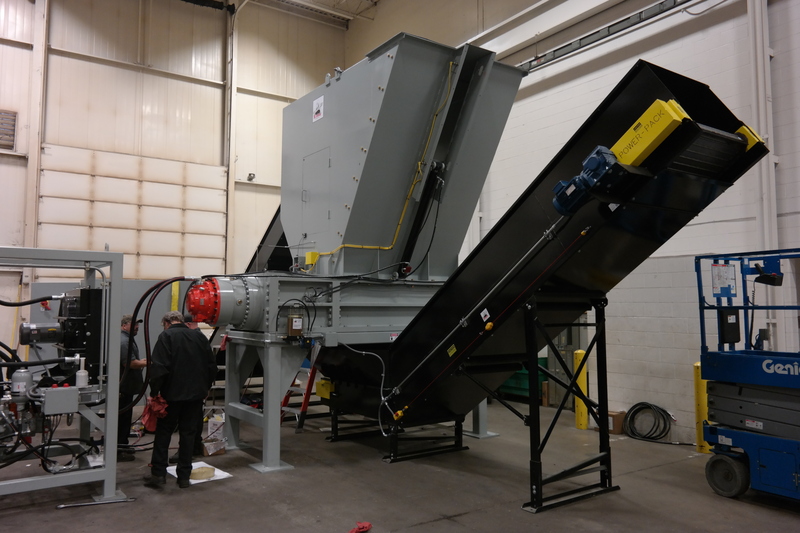 The Komar “ESP” feature provides extreme shock protection for the electromechanical drive shredders by incorporating a friction clutch between the electric motor and shredder drive to protect the shredder drive in case a non-shreddable item enters the process chamber. 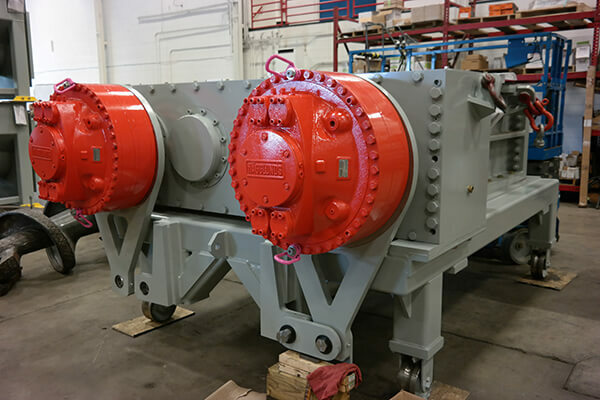 Komar offers electromechanical, hydromechanical, and direct hydrostatic drives. 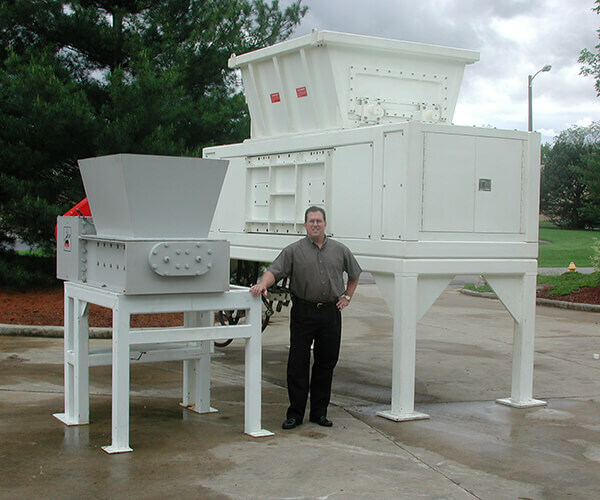 This variety allows us to prescribe the right drive for your duty cycle and severity of application. 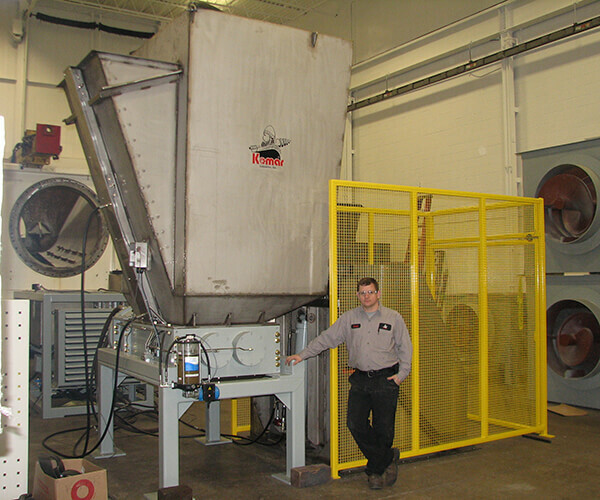 Komar utilizes a multi-layered system that insulates the bearings from the material processed in the cutting chamber. 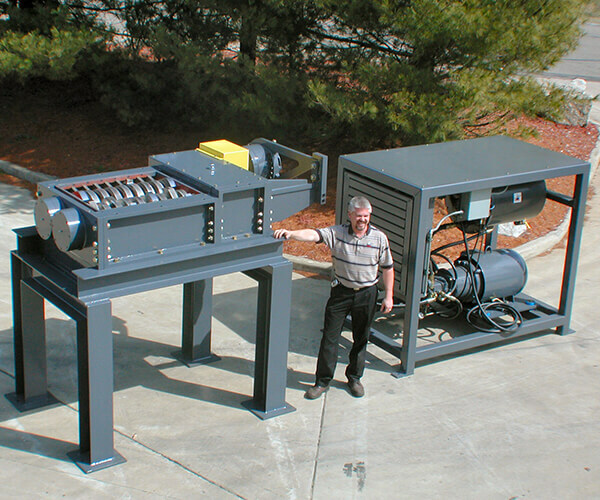 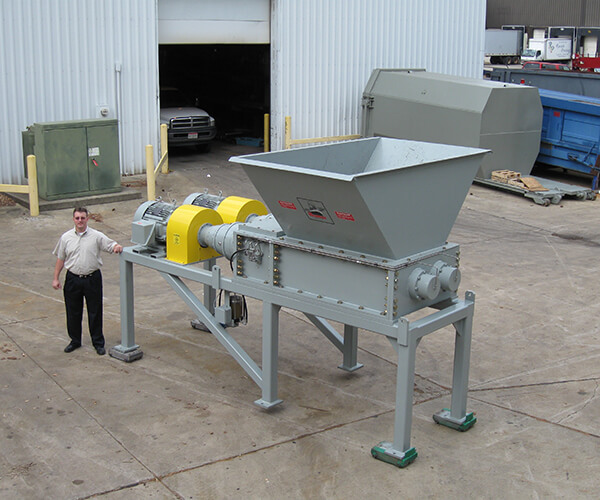 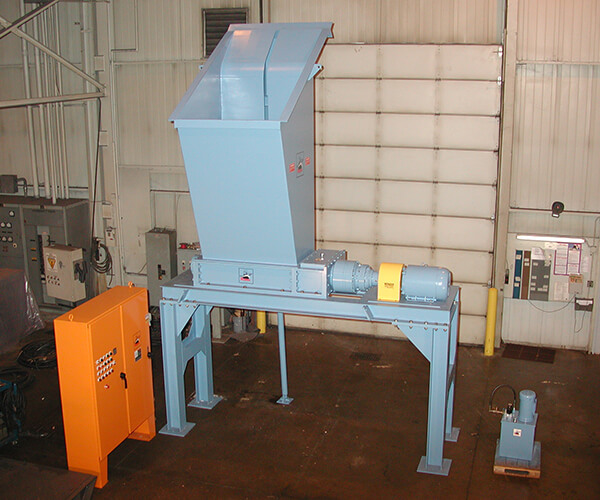 This significantly increases the life of the bearings and uptime of the shredder. 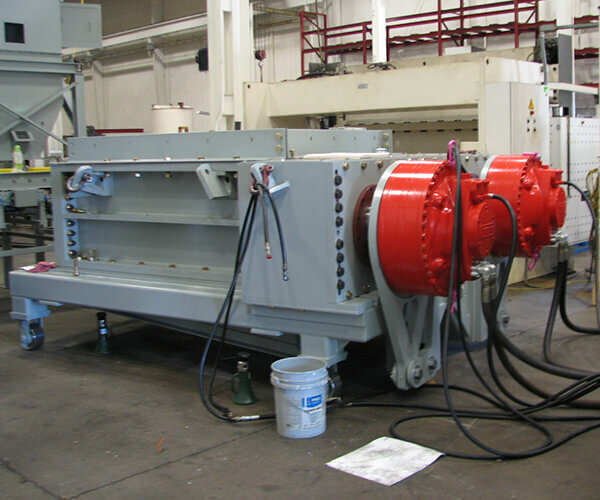 The system utilizes a false wall chamber with an air gap followed by a set of steel inter-meshing labyrinth shields and composite lip seals. 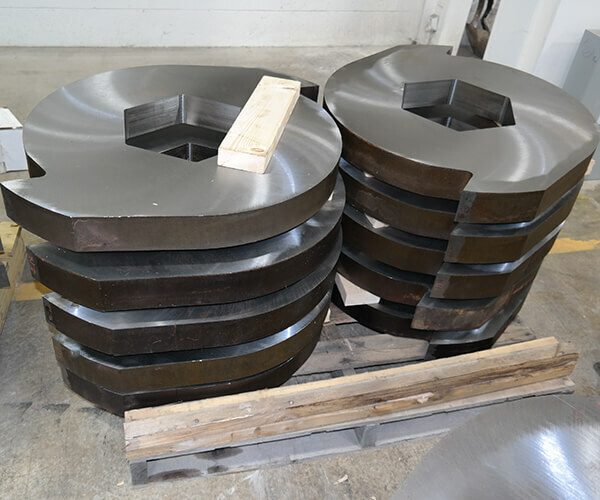 Grease from the Automatic Lubrication System is purged through the bearings and then by the seals to repel contamination away from the bearings. 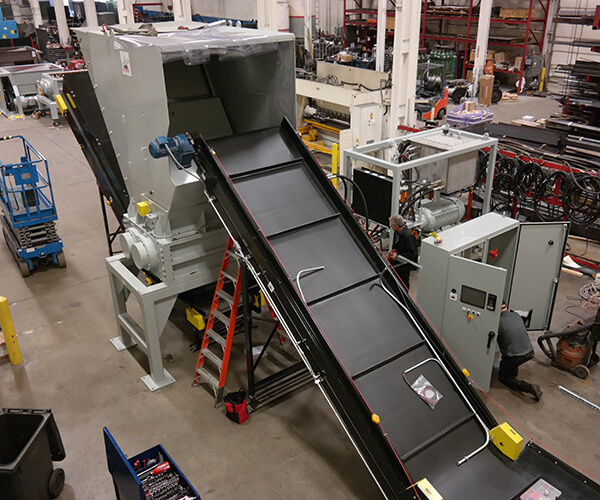 All Komar shredders come with auto-reverse to protect the shredder in the case of a non-shreddable item entering the cutting chamber. 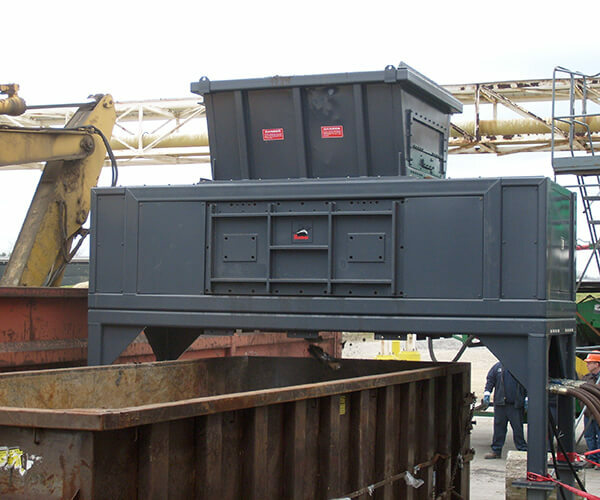 The optional Ram Assist can be added for tamping larger items and for assisting the cutters in grabbing larger pieces or odd shapes.